Leading bedding specialist, Slumberdown, has just launched a unique new pillow which guarantees to be the coolest on the high street – as it has its very own inbuilt cooling system. The Slumberdown ‘Mem-Gel’ pillow (£24.99) features an advanced cooling layer, on top of a memory foam base which guarantees to help sleepers keep their cool on hot summer nights. The state-of-the art filling moulds to individuals’ heads, providing optimum support and comfort, as well as a refreshing sensation that ensures the sleeper continues to enjoy a good night’s sleep. 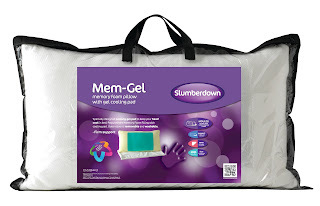 Slumberdown’s exclusive new Mem-Gel technology promises to put an end to sleepless nights, spent flipping the pillow from one side to the other, in an effort to stay cool. 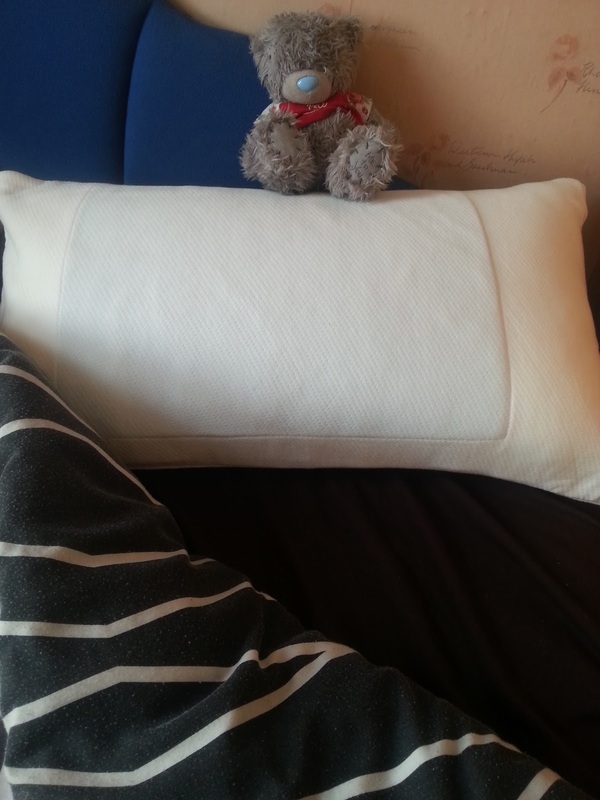 As well as its innovative cooling properties, the pillow also features memory foam, which is know to relieve tender pressure points and improve circulation across the body. 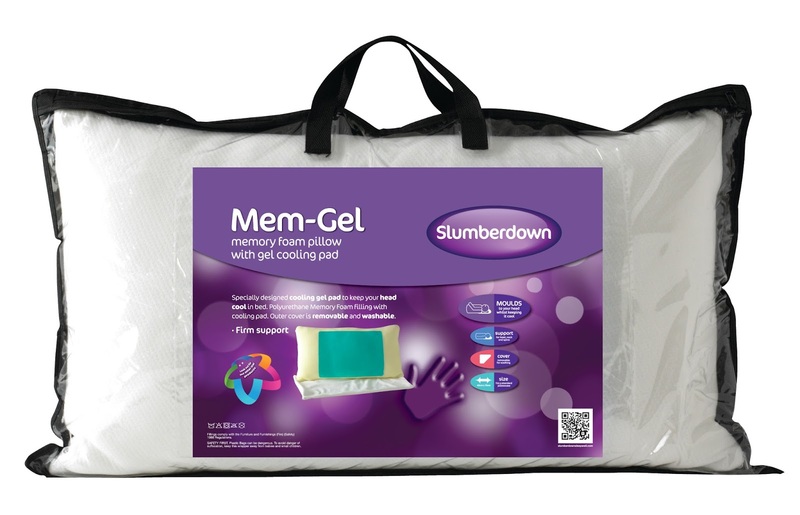 Slumberdown’s Mem-Gel pillows are exclusively available at Argos. Other seasonal products in the Slumberdown range include the All Seasons Duvet and Climate Control Pillow ranges. This month as part of the Slumberdown Mummy Programme we were sent our very own Mem-Gel pillow to try out which was very exciting as I am definitely one of those sleepers who does turn my pillow over several times a night when I'm too hot and trying to cool down. The first thing I noticed when it arrived was how thick it was, it's so thick that I couldn't get my hand around it. It's lovely and squishy to touch yet feels quite firm at the same time. 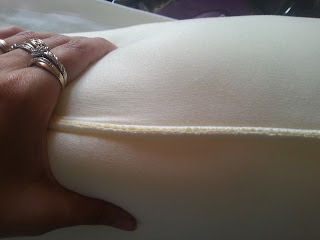 The gel patch is on the inside of the pillow case but it can still be seen clearly from the outside. I really like the fact that this pillow comes with it's own pillow case so that you can literally use it straight from the packet. I guess you can still put your own pillow case over the top if you want too but I've used it just as it is. Being white, it blends in nicely with my bed covers and it's nice and soft to rest your head on. I suspect putting another case over the top might reduce the amount of coolness you feel but I couldn't possibly say as I haven't tried it myself. 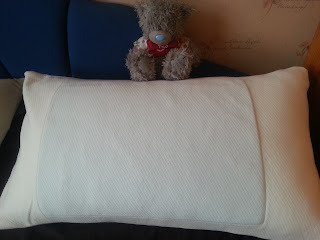 The new Slumberdown Mem-Gel pillow is great and really does keep you cool throughout the night like it promises to. Sadly for me I found it a bit too thick and struggled to sleep with it but we found it was just right for Daddy and he's delighted with it. So if you like a nice thick pillow and struggle to keep cool at night then this is definitely one for you. 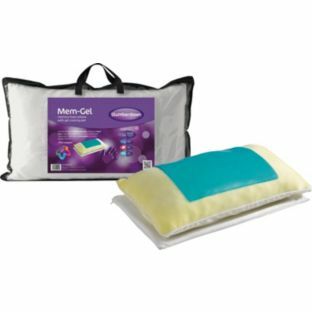 Mummy Of 3 Diaries scores the Slumberdown Mem-Gel Pillow a sleepy 3/5.